White Wolf : Adorable rescued baby beaver steals hearts while he enjoys pool time. 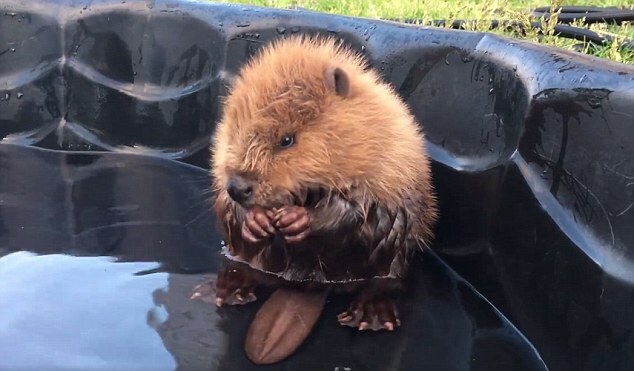 Adorable rescued baby beaver steals hearts while he enjoys pool time. 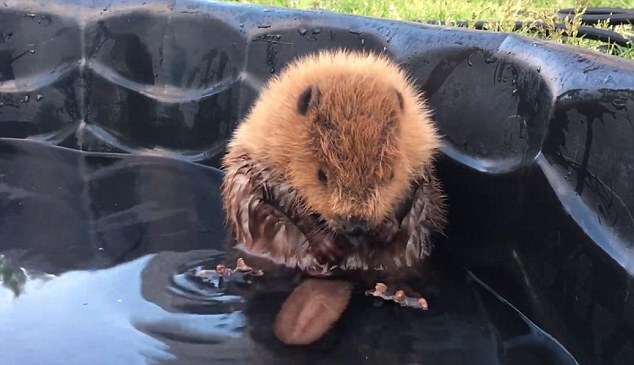 Wildlife conservationists in Calgary are scratching their heads wondering how a charming baby beaver found himself in a "really odd location," and what to do with the abandoned little guy. The furry critter was found all alone with an injured tail at the top of a hill, under a tree and well away from the water on a Calgary-area golf course on June 27. "Our suspicion is that he was picked up by a predator and then dropped," said Holly Duvall, executive director of the Alberta Institute for Wildlife Conservation where the baby beaver now lives. "It's not normal at this age for beaver kits to be separated from their parents. They're very bonded," Duvall said. Duvall estimates that the beaver is between four and six weeks old. Tail injury aside, he seems to be adjusting well to his new surroundings. "He's pretty typical for a baby beaver. They love their pool time," she said. Several times a day, the little guy is taken out to the pool to drink, bathe and answer nature's call. "He loves to groom afterwards which is a great sign," Duvall said. "It's fantastic that we're seeing that with him." As he's still a baby, he's eating beaver-specific formula supplemented with live willow and poplar branches. Duvall said no matter what the baby beaver will remain in care until he's old enough to be released. Responses to "Adorable rescued baby beaver steals hearts while he enjoys pool time."